“The doctors were absolutely wonderful! I was never so well looked after in all my life! The hospital was spotlessly clean…the food was excellent…and the care was better than I could ever have hoped for.” — Becky G.
Cellulite refers to deposits of subcutaneous fat close to the surface of the skin. These fat deposits are held within the fibrous connective tissues that connect muscles to the skin. The fat against this fibrous tissue create a pronounced, bulging effect on our thighs — and overall shape of the legs. What solution will deliver immediate and long-lasting visible improvements to your thigh region? Thigh Lift Mexico. 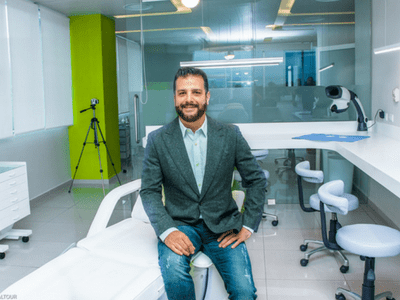 Lead Plastic Surgeon, Dr. Alejandro Enriquez de Rivera Campero, pledges to follow the highest ethical and professional medical standards — and build a strong reputation for quality and the trust of each patient. If you’re going to change your body, your life, your mind — Dr. Alejandro, wants to be at the core of that change. He believes your experience will be better if you are a partner in the plastic surgery journey. 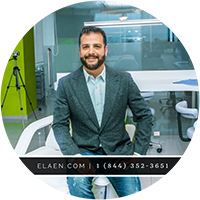 Eláen provides patients with a comfortable, modern plastic surgery atmosphere in Mexico to not only ease anxiety — but also promote recovery. Shapely legs are a distinctive feature for any woman to feel attractive and self-confident. A thigh lift procedure in Mexico removes excess fat, tightens the skin and re-contours the upper leg usually with concealable scars. Many women who visit our plastic surgery clinic in Mexico, also schedule consultations for other procedures, such as Liposuction Mexico or a Tummy Tuck Mexico. Good candidates for thigh lift surgery in Mexico are individuals who have experienced a loss of skin elasticity of the thigh, hip or buttock areas. This procedure may also be suitable for you if the skin in this area is saggy, flabby and indented in appearance.